The greater Halifax County area has a lot to offer its 35,000+ residents. Local amenities include small town charm coupled with beautiful countryside, a number of options for retail, history & culture, entertainment, and outdoor recreation. Anything that cannot be found in the area can be found in a short drive to Danville, Lynchburg, or Durham, NC. Discover Halifax explains the many unique offerings of the area. Click here to learn more about the area’s demographics. If you’re interested in possibly serving a church in this area, learn how to submit a pastoral resume here. Fishing - The region has received statewide recognition as a notable fishing destination with its many rivers and lakes. Plus, Buggs Island Lake is a short drive away and features world class fishing. Learn more at Fish Virginia First. Water sports - In addition to fishing, the local waterways are great for all sorts of water activities, including boating, jet-skis, and kayaking/canoeing. The Staunton River State Park features many opportunities for outdoor recreation. Learn more at Discover Halifax’s site. The Tobacco Heritage Trail, which runs along the banks of the Dan River, is a regional trail for runners, bicyclists, and horseback riders. Once completed, the trail will span over 170 miles across five counties. 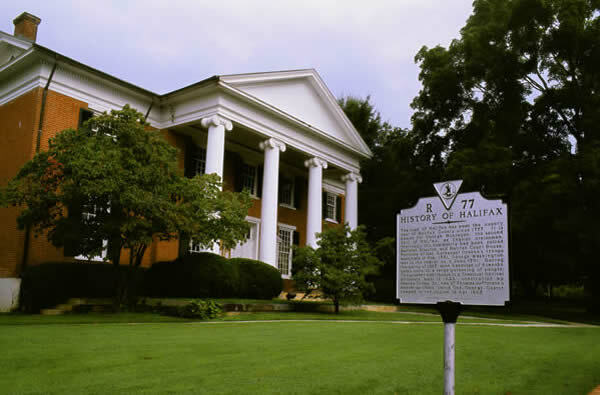 The Berry Hill Resort is a National Historical Landmark, featuring the good and the bad of the Antebellum period. Additionally, the resort features dining options, a spa, and lodging. Click here to learn more. Restaurants in the Dan River area around Halifax and Mecklenburg include everything from fast-food options to local eateries to upscale establishments. Click here for a complete list. Other entertainment options include motorsports, festivals, agritourism, and a number of art & cultural activities.